Do you even know the case against Ishaq Dar? i just hope IK doesnt respond to this..... clown!!! if you have to let someone else do so. aamir liaquat perhaps??? Lol. Bilawaja must have been properly grilled by NAB today to make such desperate statements. "leaders of banned organizations have been arrested in Pakistan to prevent the possibility of Indian planes blowing them off"
it was wrong of ik to respond in the first place. by responding to him pti made the mistake of kickstarting his political career. ik and pti shud just ignore him, he will die in his own fire. It means he going to be behind bars soon. Everytime they came out of NAB office the media conference shows what happens inside. ready made politician.. isko 100 johtey iske sir par maro.. olo ka pata. 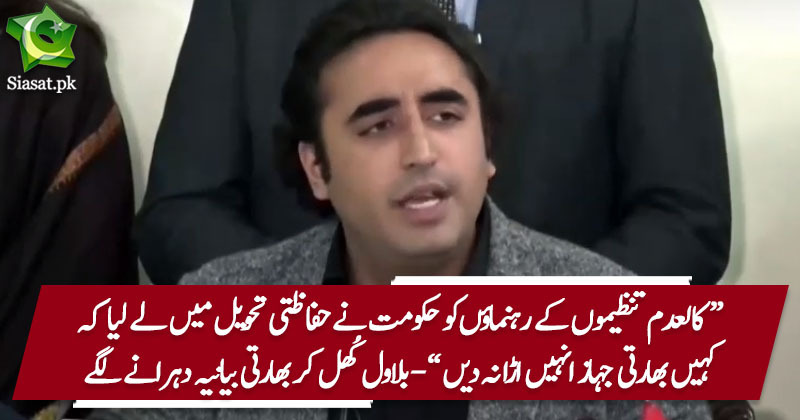 PPP and PLMN are anti Pakistan parties.I hope people of Pakistan will wake up never give their votes to these traitors. It's confirmed now, that his script writer is Hussain Haqqani and Zardari was plotted by CIA who then allowed blackwater to freely roam around in Pakistan!! Piglet has started to squeal seems like the NAB case is strong. These squeals will get louder by the day. Does he really thing that he can blackmail establishment by giving such statements? It will only hasten his demise.